ACHEMA is the leading global trade fair for the process industry. It is held on Frankfurt Messe, Germany every three years in June. The event is considered one of the largest trade fairs in Germany. The numbers speak for themselves: more than 170,000 visitors and 2750 exhibitors from more than 100 countries attend. 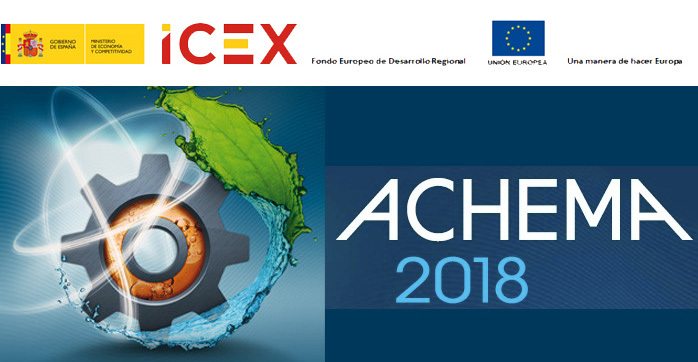 For this activity, Fluidex Association is supported by ICEX, and also cofinanced by FEDER (European Funds), having contributed both of them to the economical growth of our company, our region and Spain.